Carl Mertens - Harlekin Children's Cutlery, 4 pcs. This makes even vegetables fun and tasty: With the Harlekin children's cutlery by Carl Mertens, the smallest among us will learn how to eat with cutlery in a playful way. The Carl Mertens children's cutlery Harlekin makes eating enjoyable. The round, soft shapes are child-suitable and safe. 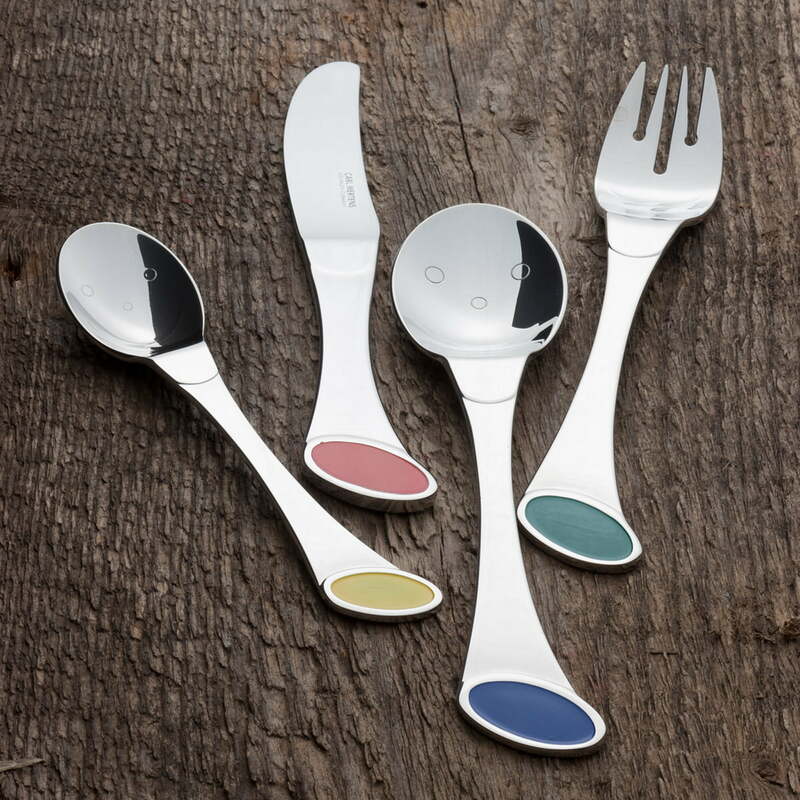 The different colour accents invite children for playful and creative hours to learn the different colours, so that sitting at the table won't become boring with Carl Mertens children's cutlery. Friendly Harlekin faces make the pieces complete. The Harlekin set includes a fork, a knife, a big spoon, and a small spoon. 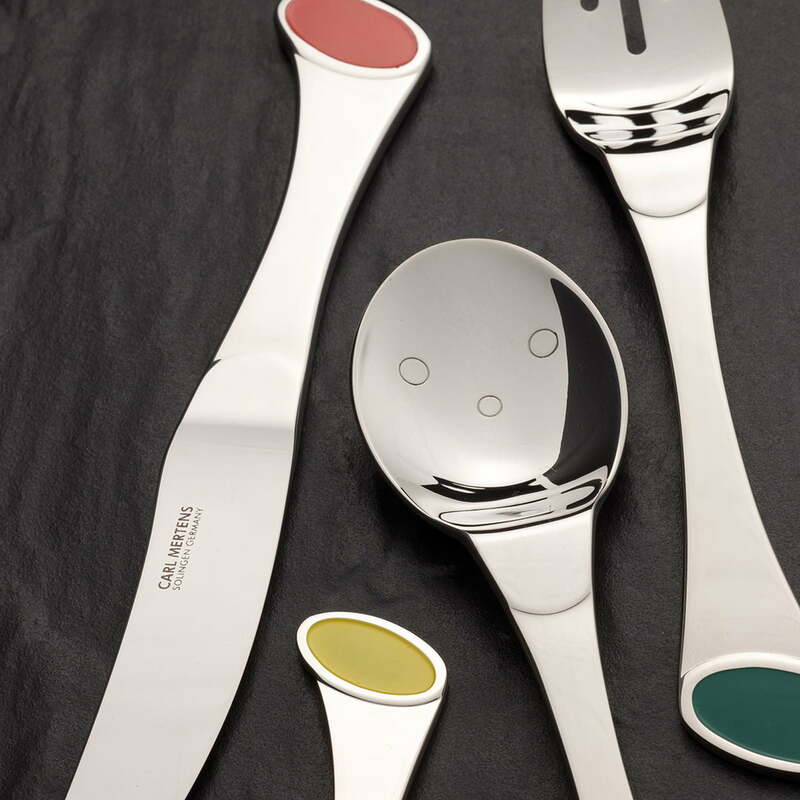 The children's cutlery is made of high-quality stainless steel and, as usual for Carl Mertens, is "Made in Solingen." To be used under adult supervision only. Knife slightly sharpened. 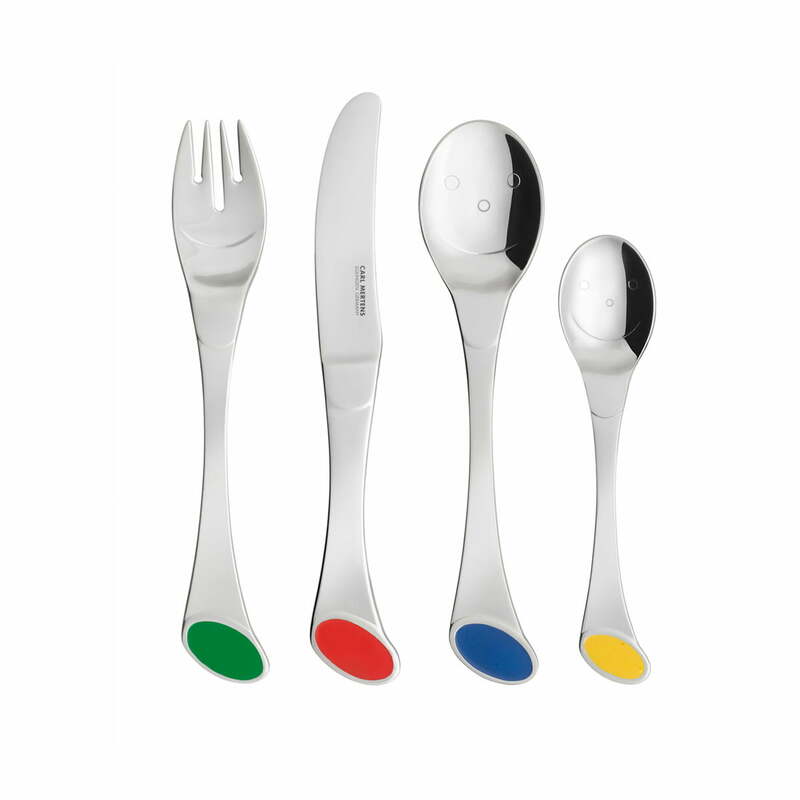 5 of 5 stars 23.02.2014, sergjj l., Carl Mertens - Harlekin Children's Cutlery, 4 pcs. Series of children's cutlery Carl Mertens - Harlekin Children's Cutlery stands out for its extremely thin and elegant shape. Excellent hold in your hand and easy to use. Classic style from producer Carl Mertens underlines the elegance of the house.